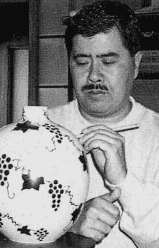 The use of the gold enamel technique (kinrande) that ONO employs owes a great debt to his mother, the late master potter ONO Hakuko.  Gold has to be fired onto ceramics at lower enamel ware temperatures. This style of decoration can be seen on Imari, Arita, Nabeshima, and Kutani wares. 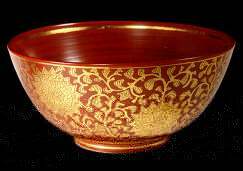 The golden age of these delicately decorated porcelain wares was in the Genroku period, or the late 17th and early 18th centuries. Merchants, feudal lords, as well as the Imperial family used to collect and trade these wares. 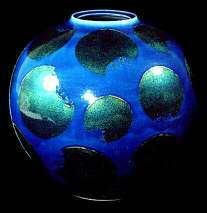 ONO is one of only a handful of contemporary ceramists to master the kinrande style.